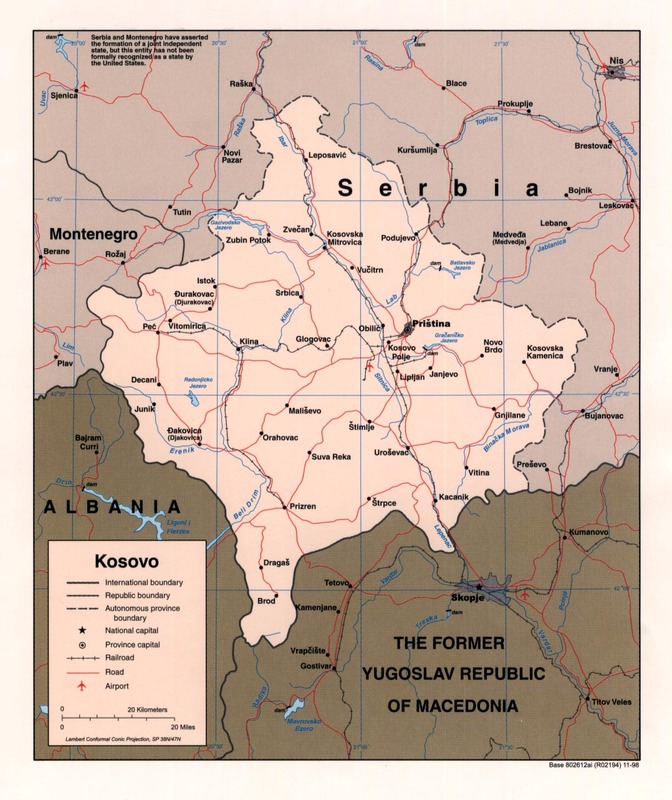 Kosovo [see map] (the full name of which is Kosovo and Metohija) is a province of Serbia [see map], as recognized in U.N. Security Council Resolution 1244, adopted at the end of the 1999 war against Serbia. 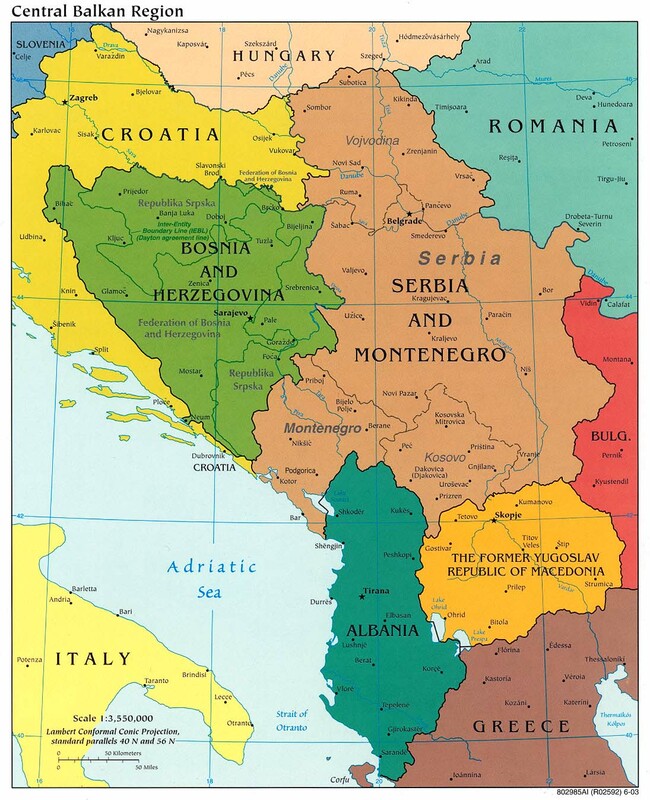 Serbia is a republic in a state union with Montenegro. Serbia and Montenegro are located in Southeast Europe in the Balkan Peninsula [see map]. A predominantly Christian country of about 10 million people, Serbia includes a Muslim Albanian minority of about 2 million people, most of whom live in Kosovo. Kosovo and Metohija is the historical cradle of Serbia’s national and spiritual identity and the venue of numerous churches, monasteries, and other holy sites, many of which have already been destroyed by Muslim Albanians as part of their terror campaign to remove both the remaining Christian Serbs as well as the memory that they were ever there.